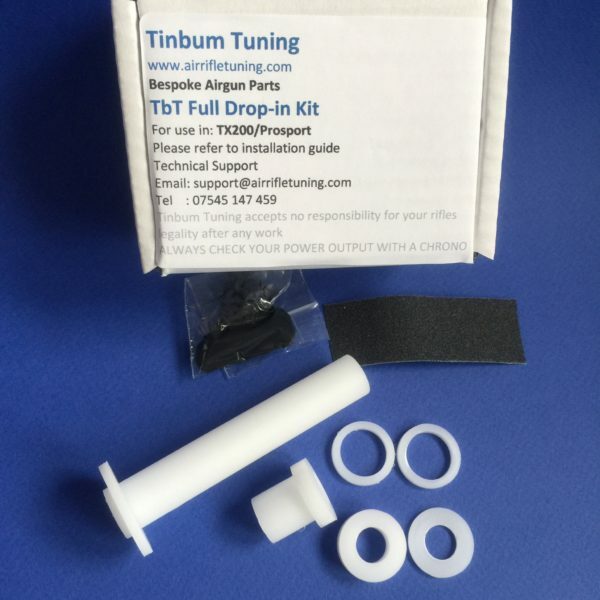 The TbT range of air rifle tuning kits offer an extensive range of options for all the most popular air rifles with great value for money. 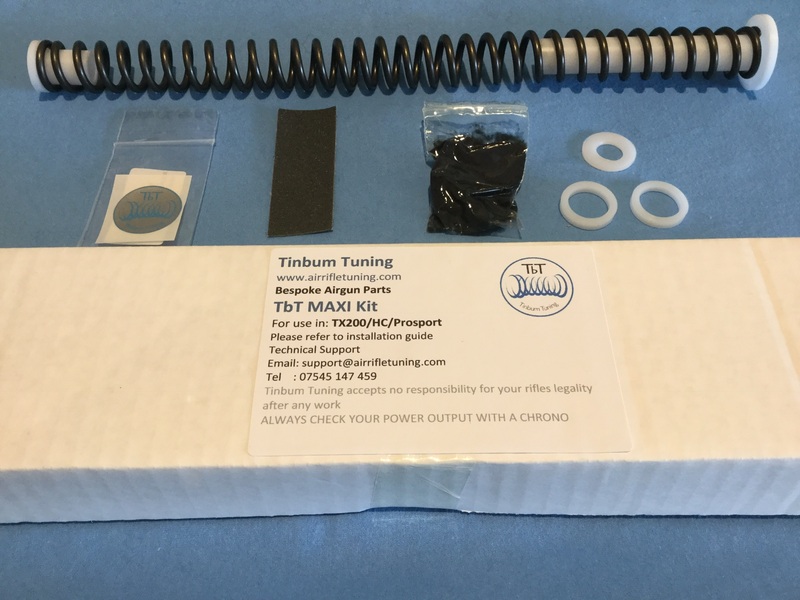 The TbT Standard guide set will work with your existing spring to reduce spring twang, vibration and recoil at a stroke. Guides that fit the spring properly keep it under control during the firing cycle prevent it from rattling around, all metal to metal contact is eliminated. 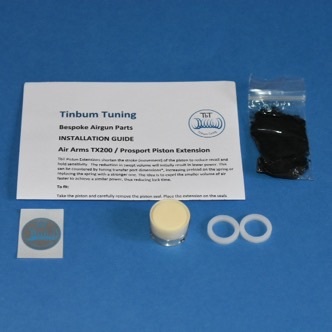 The kit includes a rear guide, top hat and slip washer to reduce torsional recoil, preload washers to allow some control over power output, standard molybdenum grease and a TbT sticker for your rifle. 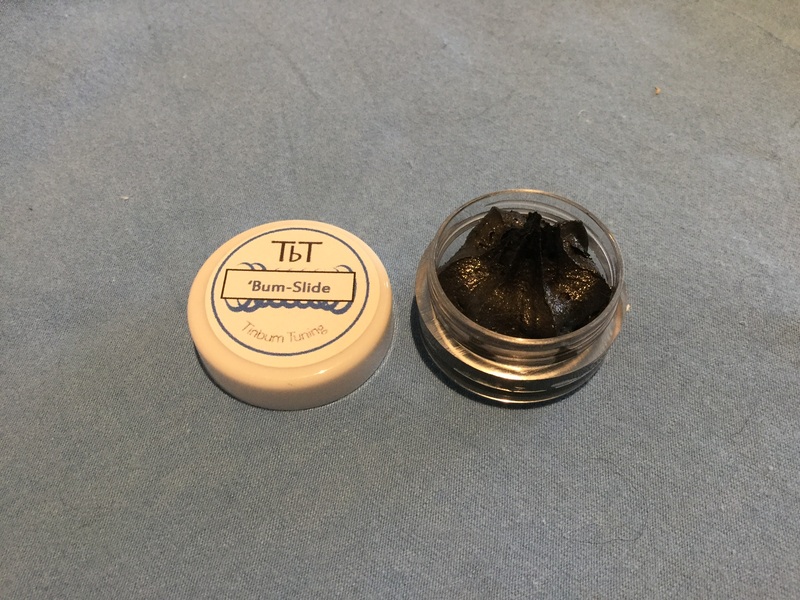 With the addition of a small amount of optional Bum-Slide hi moly paste, this will give you many thousands of quiet, maintenance free shots between services. 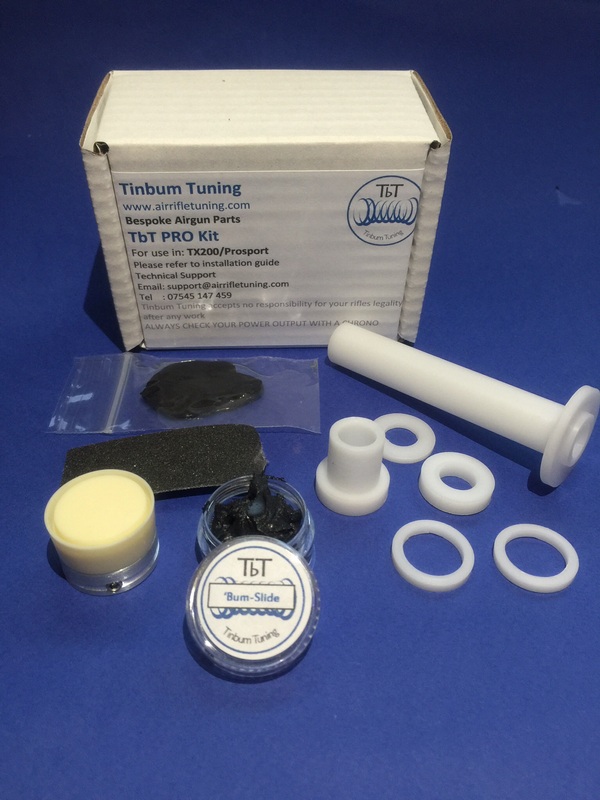 Our TbT Maxi range of kits offer all the advantages of our standard kit, but with the addition of an export powered spring. In the case of Weihrauch and Diana guns, this means a genuine factory replacement part. This spring will allow the gun to run at it’s maximum designed power, and may require shortening to meet local power restrictions. Please check your local laws for more information. The TbT Pro range is available for some models, these are designed primarily for the UK market and allow the gun to run better at a lower power (sub 12 ft/lb, 16j) with reduced hold sensitivity. 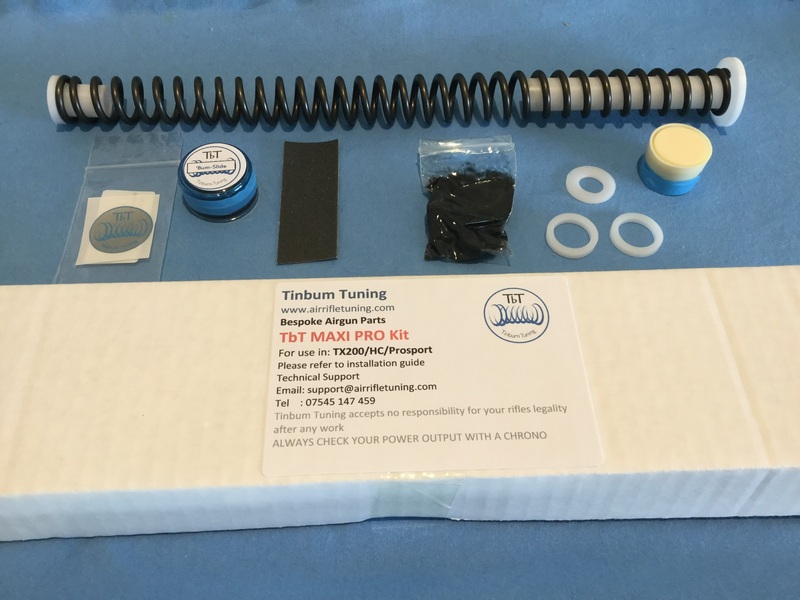 The kit comprises of the guide set from the TbT Standard kit with the addition of a pot of Bum-Slide hi moly paste, and a short stroke extension. The short stroke extension fits onto the front of the piston reducing the volume of air being pushed out on firing. This allows the piston to travel faster, over a shorter distance for the same power. Lock time is dramatically reduced along with recoil and hold sensitivity. It is a simple modification that takes less time to fit than it took you to read this. Short stroke extensions are also available separately. The TbT Maxi Pro kit is the same as the TbT Pro kit, but with the addition of a spring. As with the TbT Maxi kit, the spring may require shortening to stay legal.